Please press play on our video for this weeks analysis. This week we will take a look at GBPUSD, USDJPY & EURGBP. First thing you want to identify is what direction is the long term trend heading in. This will give us an idea whether we will be trading against or with the trend. The best way to identify the longterm trend is on the higher timeframes such as the 4 hour and daily. On the Daily chart we want to understand key levels such as Support and Resistance. This week we explore one of our favourites which is the high and low for the previous month. These zones can be used as Support and Resistance meaning price will begin to react within these areas. Now we understand the direction of the trend and key Support and Resistance zone we can wait for our desired signal during the week to enter the trade. Trend, Level and Signal are three key components to your trading analysis, if you can implement this every weekend when the market is closed you will be well prepared on the opening. Remember failure to plan is a planning to fail. What The Forex? (WTF) Episode 1: Signal Services are DEAD! A signal service provides entries on trading position through some of the simplest platforms such as Whatsapp Messenger. Participants will be required to paying a one off or more likely a monthly fee. We receive many questions whether we offer this service and the short answer is NO. This Episode highlights our thoughts and opinions about signal services. If you struggle with reality and honesty please do not listen as you will probably be offended especially if you have an active direct debit for one of these schemes. This is our first episode and if you have any questions around trading please complete our question form on our home page. Yet, you are luckier if you are actively involved in trading foreign currencies, or commonly known as Forex trading, which is considered to be the largest market on the world. Its average daily trading turnover is approximately U.S. $5 trillion, exceeding the combined magnitude of all other equity markets, including the New York Stock Exchange. Thus, you are luckier since you have the opportunity of getting more profits out of that $5 trillion traded everyday. If you are not yet involved in Forex trading, then you are currently missing the benefits of trading foreign currencies 24 hour trading time, transactions conducted in real time, extreme liquidity, and others. Thus, you should decide to get a Forex trading account and start trading right away. However, just like other types of investment, you must be aware of what kind of ground you are stepping into. In other words, before getting a live Forex trading account, you must be properly educated first about the background of Forex trading. You must learn how you will maximise your earning potentials as well as decrease the risk that you are into through practicing with free demo accounts. Moreover, you must have a trading system to follow and the necessary tools that will help you analyse varying conditions of the Forex market to position yourself on the profiting aspect of a certain trade. Once you know what you are getting into, you are now ready to get your live Forex trading account, web-based trading system and platform, and other tools that you will need in your Forex trading career. Most Forex traders obtain their trading accounts and platforms through a Forex brokerage company or agents. There are many brokerage firms out there and you need to be selective, or else you will suffer the adverse consequences. You will need to compare the commission and the spread cost between brokers. Remember the cheapest one does not always suggest the best service. 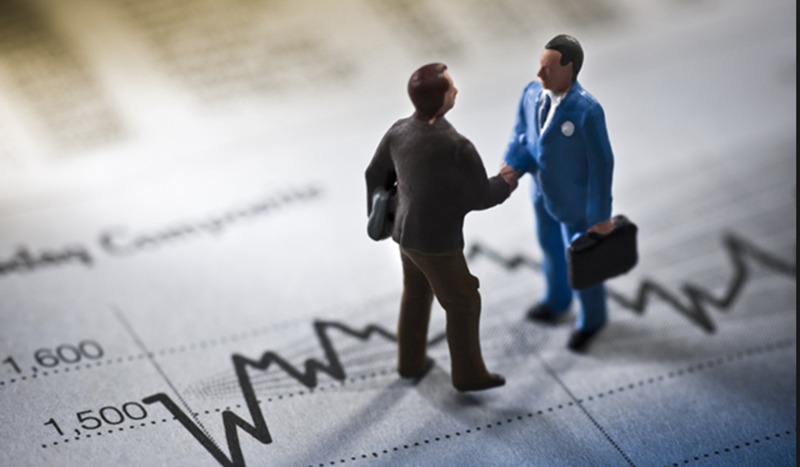 A good broker will allow you to deposit and withdraw earnings hassle free. It is always good to check customer reviews on how this function works. This is a key part of the of choosing a good broker as the trading platform will need to be user friendly and have all the required tools to aid your trading. Your trades need to filled as soon as possible meaning you do not want to buy a currency pair at a particular price but due to a technical delay you enter at a less favourable price. Always check a brokers reviews regarding their customer service as this can be one of the most frustrating aspects of broker. We always want a broker who can fix our issues in a reasonable timeframe. There are many ways to use Support and Resistance Levels on our charts. The most simple and effective way to use this tool is by monitoring the Moving Average. The below chart shows price has is been in a long-term downtrend and this has been confirmed by multiple rejections at the Moving Average level. Currently price has retraced back to the Moving Average level (Support). Based on our previous understanding we can anticipate price to form a rejection candle and re-join the downtrend. Coffee has been in an aggressive downtrend for last 2 years and it does not look like it will be slowing down anytime soon. We will continue to patiently wait for price to breakout of Resistance Level 98.00. Price has been trading below the Moving Average level which confirms we are currently in a downtrend. Price has attempted to breakout of Resistance level 0.96300, once this has been confirmed we will be joining the Bears on the downside. The price of Silver has continued to move lower and lower during the course of the year. Price is currently consolidating at 14.000 where a Bearish Flag Pattern has been formed. The Flag Pattern is a great Price Action tool to enter a trending market and also test whether the trend is still in play. We will be waiting for a breakout to the lower side of the Bearish Flag. EURGBP is currently trading above the Moving Average which confirms the Bullish trend. We have experienced a pullback towards the Moving Average, however price has consolidated around 0.89000. Currently we are monitoring an Inside Bar pattern as there are 3 bars within the mother candle. We will be respecting the uptrend and be waiting for a breakout above the Inside Bars. Last week we saw the Standard and Poors reach record breaking highs as price reached $2913.00. The chart below confirms price is in a Bullish trend and we have a key support area at $2800. As long as price continues to create higher highs we will be looking to add further buy positions. Remember the Non-Farm Payroll is due this week on the 7th September 2018, so we will add a trailing stop to minimise risk. Western Texas Intermediate Crude Oil has reached a key resistance zone at $70.00 per barrel. We currently have an inside bar pattern formed which confirms buyers and sellers are becoming indecisive. This week we expect price to pullback slightly before re-joining the Bullish trend. We will wait for price to break out of the resistance zone before considering an entry. This pair has recently pierced through both the Moving Average and key resistance zone which confirms a new Bearish trend. Currently we have a Doji candlestick which potentially signifies the temporary end of the current downtrend. We will be expecting price to pullback to previous resistance area which will act as support and continue in the direction of the downtrend. Coffee has been trading below the Moving Average level for the whole year. Price has attempted to test the Moving Average a number of times but this has acted as great support. We expect the aggressive downtrend to continue before attempting to breach the resistance zone at $99. If you would like to further develop your trading skills please feel free to contact us via our email: trendtraderscircle@gmail.com. The below chart confirms multiple rejections at the 200 Moving Average, this confirms the aggressive Bearish trend. Price has also been creating lower lows which further strengthens the downtrend. We have resistance at $95.00 where we expect a slight consolidation before a bearish breakout continuing in the original direction. Price is trading above the 200 Moving Average and is creating higher highs which confirms the Bullish trend. A breakout of 0.90300 has occurred and now we will wait to see if price will continue to respect the uptrend. Price is trading below the 200 Moving average and creating Lower Lows which confirms the Bearish trend. We will be waiting for price to breakout of resistance price 1.26616 to confirm the downtrend. Price is trading below the 200 Moving average which confirms the downtrend. The Daily chart shows price has consolidated multiple times then a breakout has followed, confirming the downtrend. Price is currently in its third consolidation, we will be anticipating a breakout further to the downside. Trading the markets need to be simple and easy to understand, that is the reason why we ensure our charts are understandable. At the Trend Traders Circle we truly believe less is more. Good Day peoples, today we will explore our favourite Forex pairs for the week ahead. We have a wide watchlist but we like to pin point the markets with the best patterns for our set ups. GBPJPY has been on an aggressive downtrend for the last couple of months with minor pullbacks. This is ideal for trend trading as we always want to trade trending markets with a linear trend. Price consolidated around 143.00 last week for a short period before breaking out further to 140.00. We expect price to pullback to 142.00 and continue with the bearish trend. This week we must be aware of The Trade Balance release for Japan which shows the difference in value between imported and exported goods and services. If the reports are positve we could expect this pair to fall further. The British Pound fell lower last week. The release of The British Balance of Trade was a lot weaker than expected which fuelled the bearish momentum. The Daily chart shows GBPUSD has been creating Higher Lows and Lower Lows which is bread and butter for all the trend traders out there. We expect price to retrace but to respect the previous Lower Low at 1.30000 and rejoin with the downtrend. The US inflation rate was forecasted to increase from 2.9% to 3% however it remained the same. This had a Bearish impact on the Euro Dollar. The daily chart shows a head and shoulders pattern has formed over the last year which signifies a trend reversal. Price was respecting 1.15000 as resistance however a breakout of this area has further strengthened the downtrend. We expect price to pullback and try and retest 1.15000 as the previous resistance will now act as support. Remember guys keep your charts clean as less is always more. Wishing you all a profitable trading week! We will explore our weekly setups for the week commencing 6th August 2018. You will see exactly how we analyse each Forex pair on various timeframes. The Unemployment rate in Japan has increased from 2.2% to 2.4%, this could fuel the Bullish momentum on US Dollar against the Japanese Yen. Our Daily chart confirms the USDJPY is in a Bullish trend and is respecting the support zone at 111.000. We expect price to retrace to our support zone and produce a rejection candle on the 4hr or 1hr timeframe which will rejoin the uptrend. The Bank of England have increased the interest rates from 0.5% to 0.75%. This may cause the Pound to gain momentum against the US Dollar causing a pullback to support levels. Our 4hr chart setup shows price could potentially pullback to 1.315 which is a key support zone on this timeframe. We have identified multiple scenarios on the 1hr chart as we have 2 major key support zones at 1.30275 and 1.31000. If price does not respect these levels on the hourly chart then we will use 4hr. Remember we can not control the movement of price so we have to be patience and always have the mindset to adapt. The daily chart confirms GBPJPY is in a downtrend and is approaching key resistance zones around 143.500. We will be anticipating a pullback on 4hr chart to support zone 145.500 or 145.000 on the hourly chart. The daily chart confirms EURUSD is in a bearish trend and is ranging between 1.185 and 1.150. The Unemployement rate in the US has decreased from 4% to 3.9%, this will strengthen the downtrend on this pair. We will be patiently waiting for a rejection candle on the 4hr or 1hr chart around 1.16 before rejoining the bearish momentum. Do not be surprised if this pair continues to push towards key resistance at 1.150 with no pullback. Merry Christmas! Let us take a look at our TTC watch list for the week commencing 11th December 2017. GOLD has been in a consolidation between 1296.00 and 1265.00 for the last couple of months. Last week we saw price breakthrough support level 1265.00 which confirms the sellers have taken control. Our next area of confluence has been highlighted around 1200.00. The 4-hourly chart shows multiple inside bars where price consolidates shortly before returning to the Bearish trend. We will be expecting price to fall below 1242.00. Remember the longer the consolidation the greater the breakout. We have had some great success with Boeing this year as we have seen price soar sky high. This stock has shown an aggressive Bullish trend which does not seem to be stopping anytime soon. Price has broken through $280.00 and we expect this to be used a support going forward. Boeing has been relentless and we expect this to reach $300.00 within the next couple of months if not sooner. This pair has been very choppy over the last couple of months. Despite this we have been able to establish consolidation between the down trend line and resistance zone at 0.875000. We would be waiting for price to clear resistance zone to confirm official downtrend before considering an entry. Remember to exercise patience and allow price to do the work. Confirmed Bullish Trend on Daily timeframe as above all Moving Averages. Bullish Candlestick has closed above round number 1.19. Further resistance at 1.2, we will be awaiting a pullback at areas of confluence. We will be waiting for price to pullback to either 1.19 or support level 1.185. Awaiting Price Action Signal on the 4 hourly timeframe. GBPUSD is trading above long-term moving average. Previous resistance has now turned into support at 1.33 as price has closed above this level. 4 hour chart shows 2 price has tried to break resistance at 1.13 on two occasions. Price has created Higher Highs and Higher Lows which as broken through resistance. We will be anticipating another retest at 1.13 this week to confirm the uptrend. S&P 500 has been in a strong uptrend for a long period of time. Price has been trading in a linear motion above all key moving averages with shallow pullbacks. Above we have circled multiple rejections along the moving average level, this confirms the buyers are in full control in the market. Awaiting further signals to compound on current positions. The higher timeframes show price has previosuly failed to break 115.00 on multiple occassions. This resistance area was breached recently along with round number 120.00. A trend with minor pullbacks is great for compounding and growing your account. Boeing update. Some good profits locked in on the Boeing Stock last week. We managed to capitalise on the upward momentum of this stock. We will continue to follow this trend and potentially add to our positions and compound. Remember compounding is the fundamentals to trend trading, adding to winners and cutting your losses. In 2015 we saw the giant online TV and Movie stream platform Netflix stocks split 7 ways due to the price being too high. 2 years later we have seen this stock gain huge momentum as Netflix does not look like its chilling anytime soon. Below is the weekly chart for Netflix where we can clearly see the drop in 2015 followed by price consolidating for the majority of 2016. The daily chart below shows Netflix is in a clear uptrend as it is trading above the 200 Moving Average. As trend traders we tend to only trade markets where price is above the Moving Average on both the Daily and Weekly timeframe. However due to the high volumes and speculation around this stock it is hard to resist. We expect price to slow down around $270.00 which is at the weekly moving average level. Remember the key to trading is compounding so keep an eye out on those Price Action patterns discussed in on our education page. 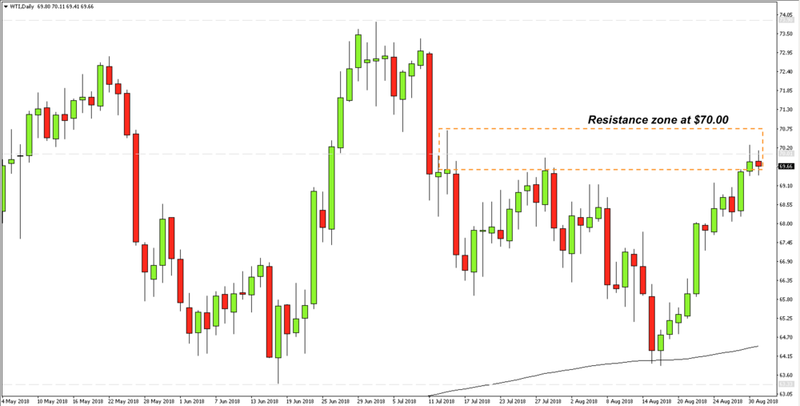 We had some great success from EURGBP’s Bullish momentum last week. There is a clear Cup and Handle pattern being formed which further strengths the uptrend. Price has also continued to respect the Moving Average and this is acting as support. We will be continuing our bullish positions when the markets opens. This pair has been in a downtrend for sometime now and we have managed to capitalise from this momentum over the last couple months. We locked in our profits on Friday due to the Non Farm Payroll and we were stopped out. You may notice price has continued to respect the Bearish trend line and we expect the downtrend to continue this week. 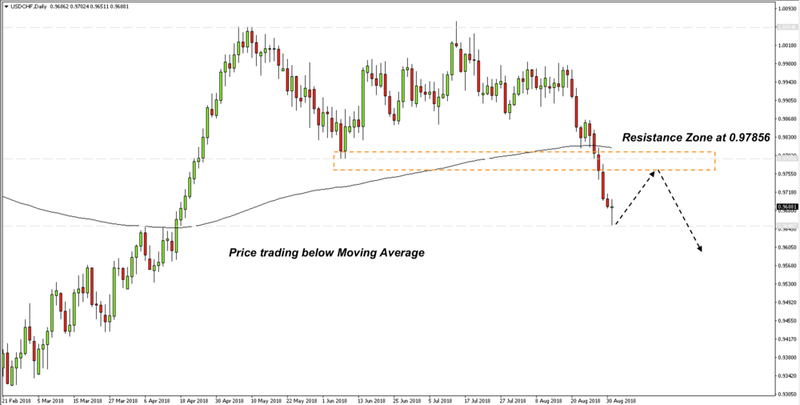 USDMXN has pulled back away from the uptrend and has been consolidating around the Moving Average. Price has continued to respect the trend line on the last 3 occasions. We will standby until price determines the direction. Always remember to exercise patience and let the price do the work. USDMXN. There has been a lot of uncertainty around this pair since the U.S Elections. Price has been in a choppy uptrend for the last couple years but price has recently pulled back to retest the Moving Average. Previously price has respected the moving average on 3 occasions keeping the uptrend in tact. We will be awaiting a rejection or indecision candle before considering an entry on this one. Keep ya posted. 3 Reasons Why Books Are Great Learning Platforms! Trading the markets can be very daunting for beginners as it can be difficult to know where to start. There are many ways a beginner can learn how to trade in the market such as courses and seminars. Yes these can be great methods to learn, but do you really have £2000 or more spare to invest in a decent course? Even if you have the money are you sure the content provided is going to help? There are no short cuts or get rich quick schemes in this industry, the only way to become successful is hard work and dedication. We were attracted to trading because we wanted to be our own bosses and we have the ability to grind out the late nights and continually develop on our crafts. There is something special with being a self made successful trader and we believe to start this journey you must cop a few books. So why do we recommend new traders to invest in books? We understand new traders will be on a budget and may not be able to afford a trading course as some can cost thousands of pounds. However books will be the most affordable way to learn. When we first started we bough a lot of our trading books in good condition but second hand, as these tend to be cheaper and kept our costs low. There is a lot of material online with regards to trading both good and bad. Books tend to be more reliable as the authors are established. A tip we use when choosing a book is looking at different forums or comments for the reviews, this helped us make a decision whether to cop or drop. Whether you are purchasing an ebook or hard copy this is now yours to keep and you can use this as a guide on your trading journey. Our trading books are littered with so many highlighter markings, Book Marks, Annotations and Gibberish on the majority of the pages. This really helpsin the learning process as we always refer back to our notes. We like to call it an organised mess. We are not against trading courses or seminars this may be a great way for some individuals to learn, however if you have the time and the desire you can learn a hell of a lot from reading. In the wise words of William Lyon Phelps we divide all readers into two classes; those who read to remember and those who read to forget it is really your choice. The giant computer software company Adobe has been making some big trend moves over the last couple of years and we have analysed the technicals below. The chart below is on the Monthly timeframe, this clearly shows Adobe in an uptrend for the last 5 years. In 2012 the Adobe stock was trading around $30 and in 2017 the price soared up by almost four time the amount to $119. The trend continues to be linear, meaning there are not many pull backs which is exactly what we want to see as trend traders. Now we have clearly identified the longterm trend on the Monthly chart lets take a look into the Weekly. We have added the 200 Simple Moving Averages on the Weekly chart and the price has been trading above this which confirms the uptrend. Similar to the monthly chart the trend is very linear, however there are some areas where price has pulled back that we may need to consider. At the bottom of the chart is the trading volumes, which simply shows how many people are trading this stock at the present moment. Points a, b and c are three areas where price has pulled back for a short period and continued in the direction of the overall trend. You may have noticed the volumes have increased each time price has pulled back. The reason being is because the buyers in the market believe the price is cheap and it is a reasonable time to buy. We need to consider the volumes before we enter a trade, as liquidity is key to trading. The Daily chart below further strengthens the uptrend for Adobe. This stock is trading above the highest price of 2016 which was $111. We have also added a bullish trend line and price has has respected this on multiple occasions with regards to the indecision candles circled below. Our technicals show this trend is going to continue and we do favour a further rise to the upside. Always remember the best way to predict the future is to understand the past, and this is why we analyse historic charts to gain an advantage of what may happen next. Great British Pound against the South African Rand is a very interesting pair for Trend Traders, lets find out why. Below is a chart for the monthly timeframe, this provides us with a birds eye view on how GBPZAR has performed previously. Always remember the best way to identify key trading areas is to analyse past Price Action. As you can see this pair has shown some resistance around 16.50000. The first rejection was at the beginning of 2008 where price reached 16.50000 and retraced in the following months. The second rejection occurred later on in the same year and is clearly identified by a huge shooting star candle. Currently this pair has has pulled back after a long uptrend and has tried to retest the previous established resistance. Now we understand the bigger picture we will take a closer look into the weekly timeframe. We have circled a shooting star which was a clear indication price was going to pull back from the uptrend. Price has created lower highs and low lowers which is clearly projected on the chart, this is further confirmation of the downtrend. The final evidence we have to confirm the downtrend is the price is currently trading below the 200 Moving Average and has respected this line by the last Lower High. This pair is still trading between the price high and low of 2016 and we will be awaiting a break out of these areas before a considering an entry. For all trend traders this is definitely one for the watch list, just remember to be patient and let the trade come to you. It has been a very volatile year for both Europe and the United States of America. We have seen the impact of BREXIT on the Euro and also the reaction to the US market from the presidential election of Donald Trump. Despite the volatility of these two currencies we have notice a very long term price action setup forming over the last couple years. The monthly timeframe confirms a the long term bearish trend since 2008. The best way to predict the future is to study the past. The monthly chart shows EURUSD has a key trading price. As you can see above price has rejected or consolidated around 1.05000 a number of times over the years. There was a bullish rejection candle off 1.05000 in 1997. This pair consolidated in 1999 around the same price. Now we have more consolidation around this key area, which makes this pair very interesting for trend traders. Now we understand the bigger picture lets zoom into the Weekly chart for more immediate set ups. We have used zone areas to identify support and resistance areas. Price has been consolidating for the last 2 years and has resulted in a bearish flag pattern. Remember the longer the consolidation the bigger the breakout, but be patient because 1.05000 is a longterm resistance level. As EURUSD has been in a long term bearish trend we favour this pair to continuing falling beyond 1.05000. For more updates on this pair subscribe below. The major manufacturer of game cards Nvidia has offered great returns for trend traders in 2016. The price of this stock opened at 32.50 at the beginning of the year and has been as high as 120.00, which is almost four times the year opening price. The below chart shows the bullish trend on the monthly time frame for Nvidia. The monthly chart provides us with a birds eye view of the longterm direction of the trend. As you can see there are not many pullbacks during 2016. We can see a couple months whereby buyers and sellers were indecisive but this was followed by a positive bullish candle. It is important to note the volumes increased substantially in 2016 compared to the previous years which shows this stock is becoming more popular with traders. The weekly chart provides us with a clear view on price action setups. You will notice there are more areas of consolidation which form flag patterns. The flag continuation patterns were key to our trend trading circle as we used these areas to add to our position and compound. The daily chart further confirms the bullish trend as price continued to create higher highs and trade above the moving average. Price shortly pulled back to round number 103.00 on 29th December 2016 but bounced back up during the same session. Always remember the most strongest of trends need to breathe once in a while, do not mistake a temporary pull back for a trend reversal. Nvidia will remain on our watchlist in 2017 as we favour a further move to the upside.